Hamilton, Ontario (August 14, 2018) – FirstOntario Centre, managed by Spectra, was ranked the 58th busiest arena according to Pollstar’s 2018 Mid-Year Top 200 venues in the world and the 4th in Canada; ascending 48 spots from the 2017 Pollstar Year-End Rankings. Rankings by Pollstar, a leading resource on the concert industry, are based solely on ticket sales of live events and concerts and do not include ticket sales to FirstOntario Centre’s tenant, the OHL’s Hamilton Bulldogs or some select events. The venue made the enormous leap after finishing 2017 ranked 106th in the world and 7th in Canada, after selling over 163,341 tickets in 2017. 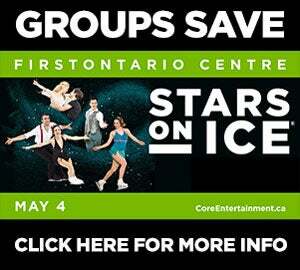 Between January 1 and June 30, FirstOntario Centre has so far welcomed over 141,423 guests through its doors. The first half of the year included numerous world-class events including Avenged Sevenfold, Santana, Disney on Ice, Monster Jam, Cirque Du Soleil’s Crystal, Tim McGraw & Faith Hill, Shania Twain, Kevin Hart and a sold-out Stars on Ice show. Not to be left behind, FirstOntario Concert Hall ended the first half of 2018 ranked as the 139th busiest theatre in the world and 7th in Canada. The theatre is expected to continue to climb in Pollstar’s ranking by the end of the year due to the number of events already booked for the fall. A key component of Spectra's success at the Core Entertainment facilities in Hamilton is their partnership with Live Nation. In the first half of 2018, Live Nation brought 15 events to FirstOntario Centre and FirstOntario Concert Hall, with another 14 more to play between the two venues by the end of the year. 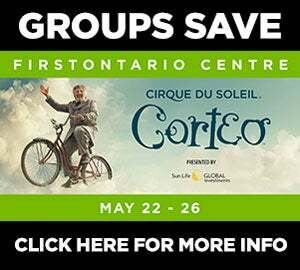 "Our programming focus is to bring the widest range of live entertainment to FirstOntario Centre & FirstOntario Concert Hall." said Riley O'Connor, Chairman of Live Nation Canada. "Artists are drawn to Hamilton for its warmth and energetic dedicated fans, making Hamilton a vibrant live music destination."